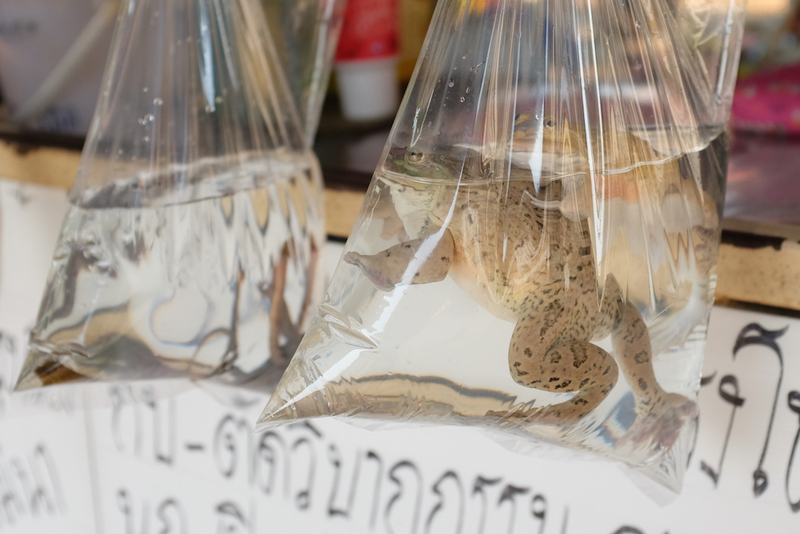 A few weeks after moving to Bangkok, I started to get desensitized to the strangeness. 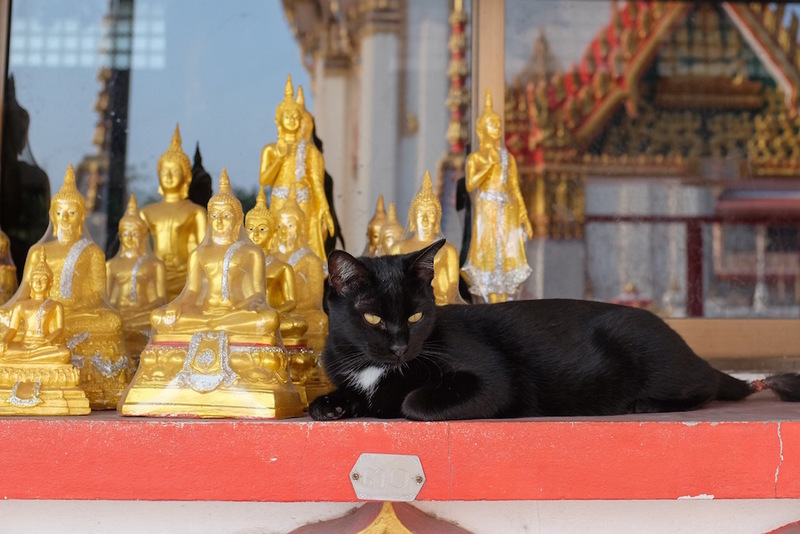 What once struck me as bizarre and exotic – monks collecting alms in the morning, an entire family plus the dog on a motorbike going the wrong way down a one way street, green tea flavored Kit Kats – became part of normal life. As James Hilton wrote in Lost Horizons, “There came a time, he realized, when the strangeness of everything made it increasingly difficult to realize the strangeness of anything.” When you are immersed in the foreign, the foreign becomes a new normal. 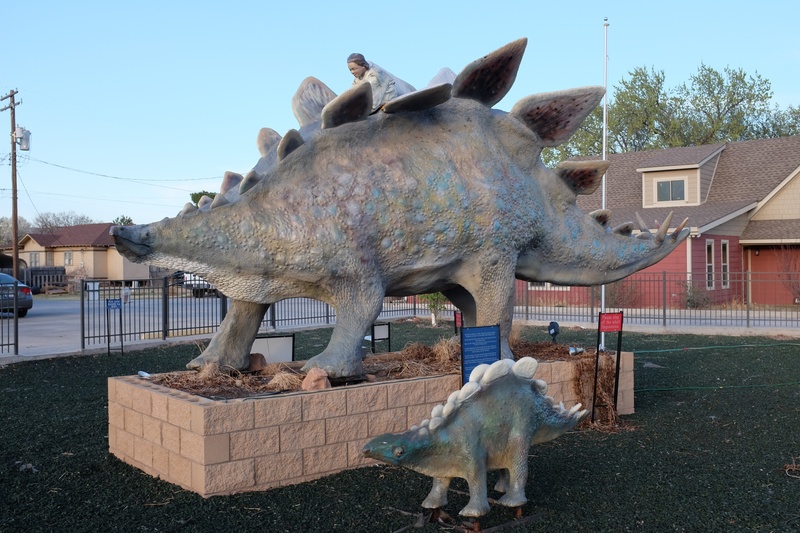 Then, I made a visit to my hometown of Woodward, Oklahoma, and was reminded that I am from an odd place too. 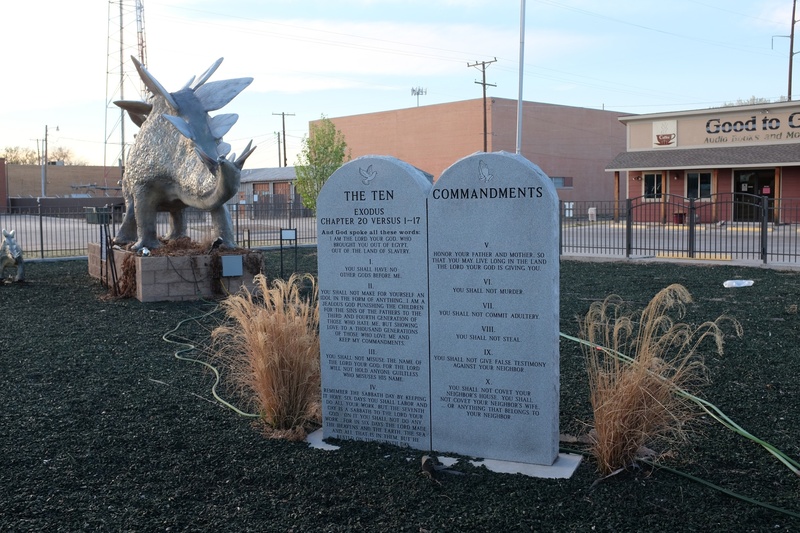 In Woodward, we have a pair of dinosaurs next to the 10 commandments in the middle of town with a sign declaring that the Earth is 5000 years old and that evolution is a fairytale for adults. Attending a high school basketball game, I saw that they were raffling off a semi-automatic assault rifle as a fund raiser. Recently, CNN.com did a piece on my hometown. We are famous for having the highest percentage of climate change deniers anywhere in the USA. I suppose that no matter where we are from, there is strangeness to be found. The oddity is in the eye of the beholder. What would a visitor find weird about where you live? I guess it is different for you living the expat life there, you adapt and integrate in a way that it all becames part of your everyday life. When I first come over to the UK I remember thinking how odd that friends and even families did not kiss and hug each other when meeting up? But I guess that is the fascinating thing about traveling and immersing ourselves into another culture. It is interesting the cultural differences we notice. The more I travel, the more curious I am about these difference. They are fun. OK, I have to ask, what’s up with the sculptures in the second photo? Are they supposed to be what they appear to be? After living in “quiet” areas, Bangkok must seem like it goes a mile a minute! I think I would suffer from sensory overload! Yes, they are what you are thinking. 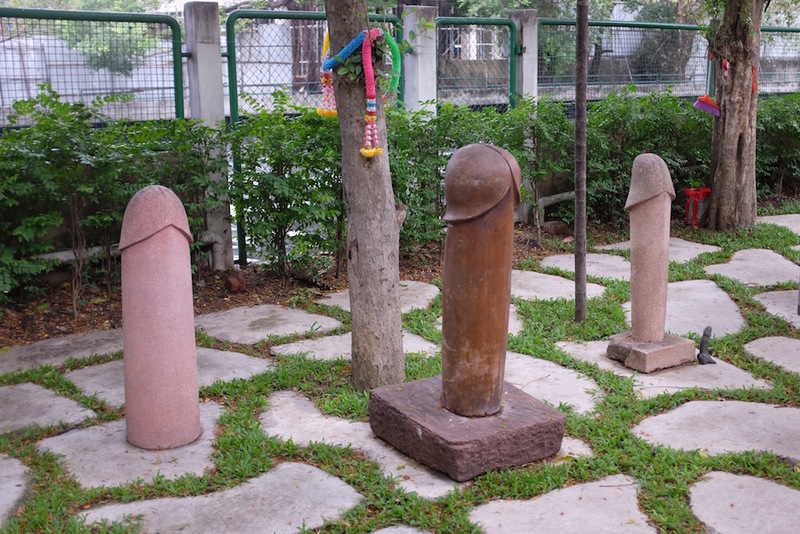 It is a fertility shrine. I visited it with a male friend of mine out of curiosity and I think the locals thought we were weird. No matter hard you two try, this shrine ain’t going to help, I could feel them thinking. Oh, these are great! 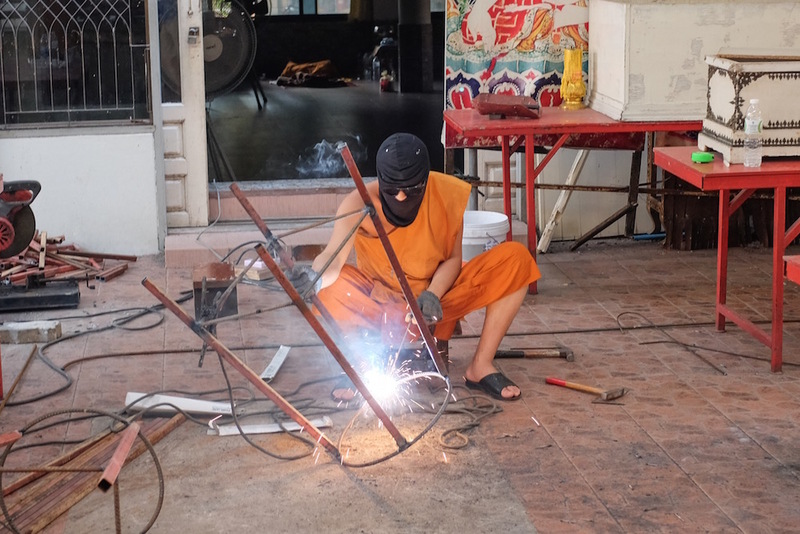 I’d have to go with the welding monk as the one that struck me as the funniest oddity, but I think your hometown is weirder in a much scarier way than Bangkok is! 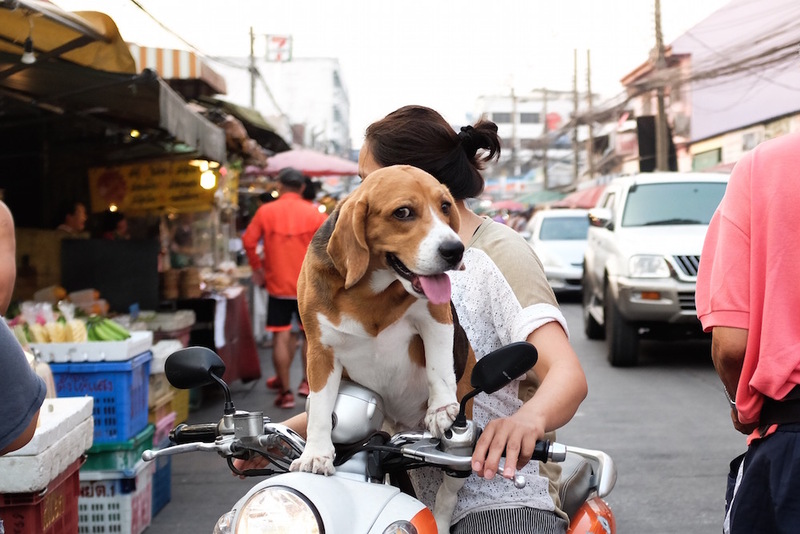 Right now, what’s weird about my new neighborhood is that dogs can go everywhere – into clothing shops, restaurants, and even some grocery stores. I have a dog and like dogs, but my new neighbor dogs do their business anywhere and everywhere, and no one seems to care or clean up. Yuck. I’m all about being dog friendly but that is gross. I’d have to agree – I think my hometown is scarier. Bangkok is quirky fun; guns in school are not! What an interesting group of photos Jeff. 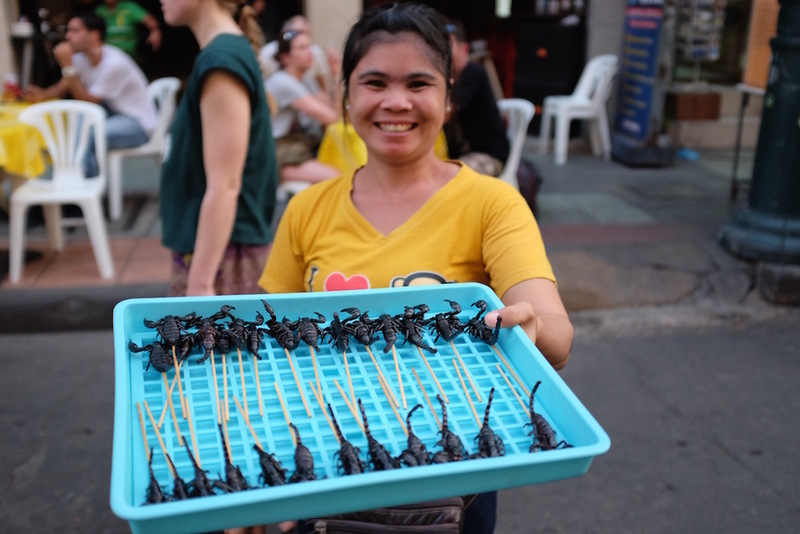 Gah, those scorpions on a stick…yikes! I think the most interesting thing you might see in my little town is an elephant walking through town. We have a small zoo & the owner often takes his elephant for a walk. You can always tell the new people in town as it stops them dead in their tracks. Yes, an elephant walking down the street, even in Africa or India, would be unique, so that must really be a sight. I see locals eating smaller bugs in the residential areas, so I *think* the scorpions are for tourists, but I’m not sure – they still freak me out. 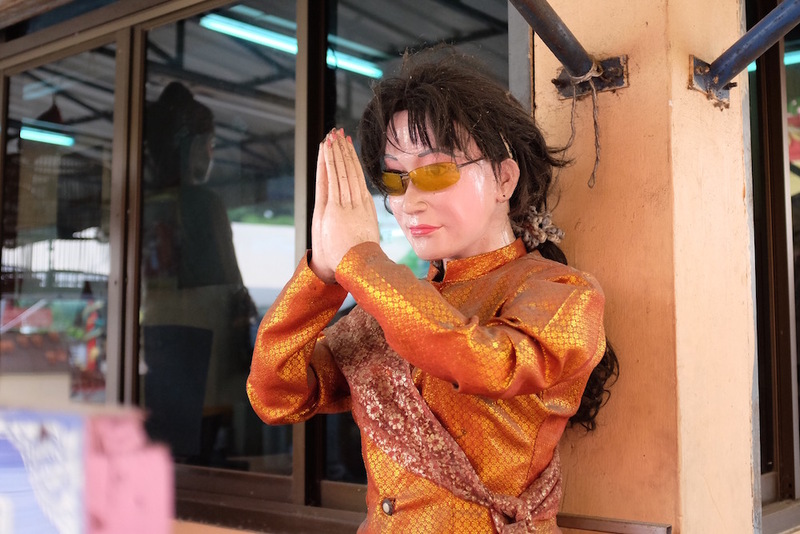 I find it odd that everything you’ve written about your hometown makes me angry and frustrated about the myopic stupidity of people, and I simply find fascinating all the oddities of Thailand. Hmmmmm. What does that say about me? What on earth is in the huge pot!??? I loved Bangkok’s song thews (however that’s spelt) – so practical, and would never never never touch one of those scorpions. There are scorpions in Mexico. Having heard many horror stories I’m continually on the alert for them. I can no longer tell what’s odd or not. The strangeness of everything has made it difficult for me to see the strangeness of anything. 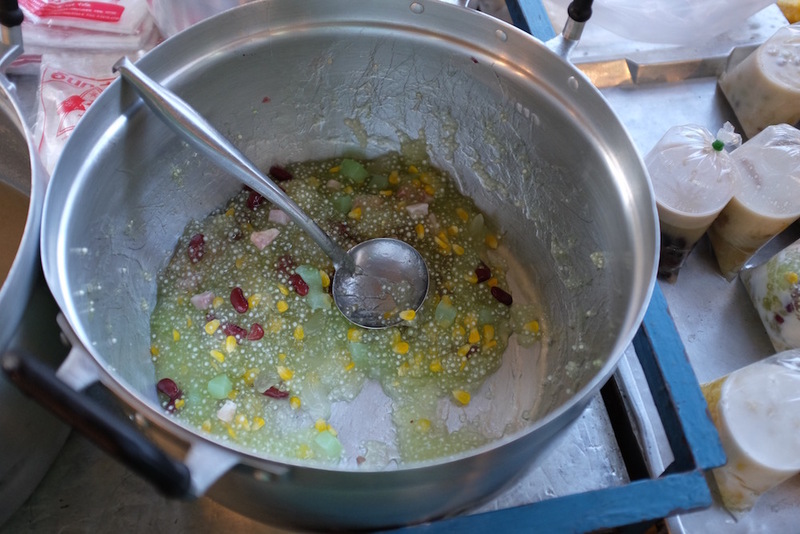 I don’t know what is in that pot – some sort of jello but with corn and other things in it. It looks like an alien creature. 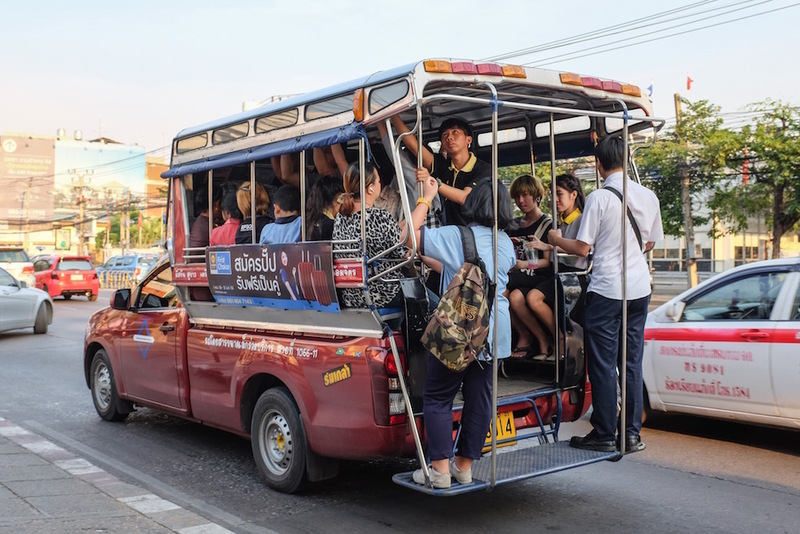 I haven’t used the Song tows (or however they are said) in Bangkok yet because I don’t know where they go and because there are good bus connections where I am. Someday I’ll give them a try. Wow Jeff I’m not sure which location is stranger! Yikes. Do tell me what is in the pot of what looks like soup? I think it is some sort of desert with corn, beans and mystery items. It looks like an alien threw up in a pot or something and now they are reselling it. I love Thai food, but the locals deserts are strange. Ha ha! I like the contrast. In Hanoi there were definitely more bizarre things than Quito – gecko alcohol, belly weather (when affluent men feel it is warm enough to roll up their shirts to show their relative wealth through their protruding bellies) and the list went on. Almost everyday even after four years I continued to see new and bizarre things in Hanoi. Though I did see donkeys being milked in Quito centre the other day – that was weird! Belly weather – that is funny. I now have a term for that. Does that really work to cool a person down? I remember bia hoi – the kegs with 10 cent glasses of beer in Hanoi. What the heck is gecko alcohol? Your photos of Ecuador are stunning. I would imagine you still see weird things but maybe less often. Jeff this is such a great post ~ it sums up the experience of relocating to another country, for sure! When we lived in Nicaragua we wrote long lists of about what we found to be “different” but after a few years the different became the normal. I have to agree with Alice (comments above) that your hometown seems pretty scary and weird and makes me cringe. The “weirdness” of other cultures is the beauty of travel for sure. And it IS interesting how relative the differences are … To how long you have been in a place and to where you have been before. Point of comparison I guess. Some fun photos here… I like the motorbike pics in particular. That is one of the great joys of traveling or living overseas – everything is new and different and you get to experience the world like a child, always amazed by new discoveries. 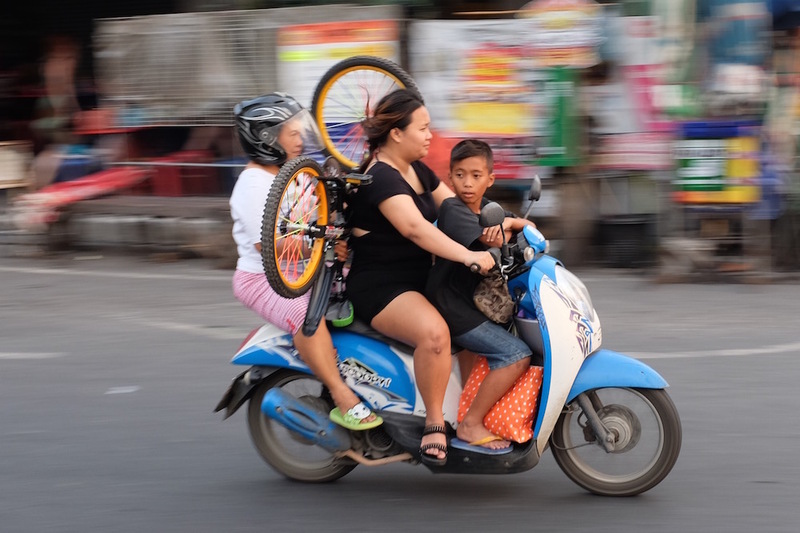 I’ve been a few places, and I’d been to Thailand before, but everyday I see something odd and interesting. Anytime I am out taking photos I always take time just to shoot motorbikes – you never know what you are going to get. 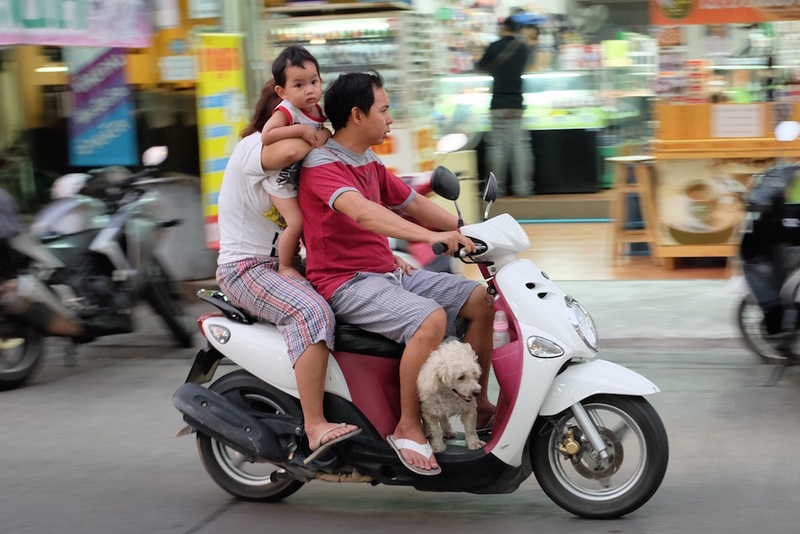 Seeing the entire family and household on a moped is very normal for me because we have that too in Malaysia 🙂 Also, I have had travelled to India 9 times, hence I’m desensitised to the ways of Indian living which might seem odd in the beginning especially for a foreigner. But raffling a semi-automatic rifle?? Hmm, now that’s a first for me! Yes, from your perspective growing up in Malaysia none of these are odd, but our dinosaur and guns have to be crazy. I am not sure 9 trips to India would be enough to make it seem normal, or less odd. India is the ultimate in bizarreness! It seems you’ve hit the *odd* jackpot. 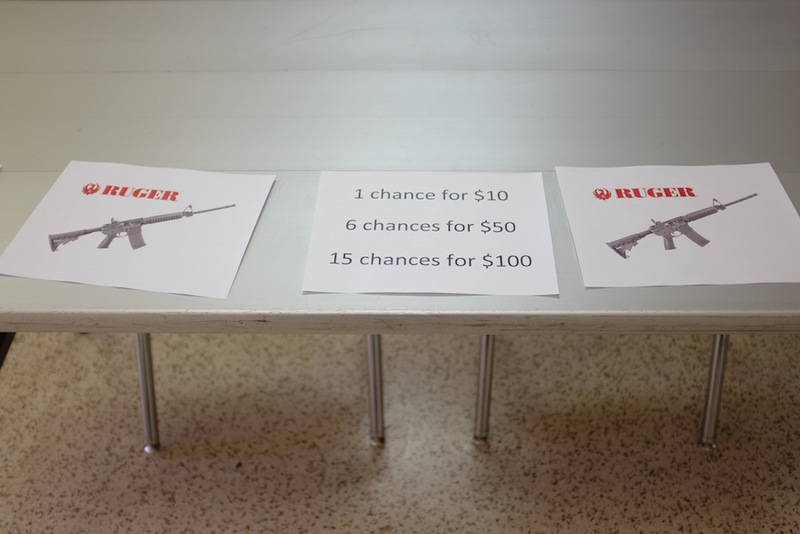 I think the most horrifying to me though is the raffle for a semi-automatic rifle. I’d take the scorpions-on-a-stick or a ride on a moped with my entire family any day! That seems to be the consensus among the commentaries. That gun raffle is scary. But would your family ride on a scooter and eat scorpions with you? If you are in Bangkok let us know. If you want we can show you around or grab a bite to eat or something. It’s the unbearable strangeness of being. I guess it doesn’t matter where you are or where you’re from, strange stuff happens, and strange stuff keeps happening. And getting stranger. 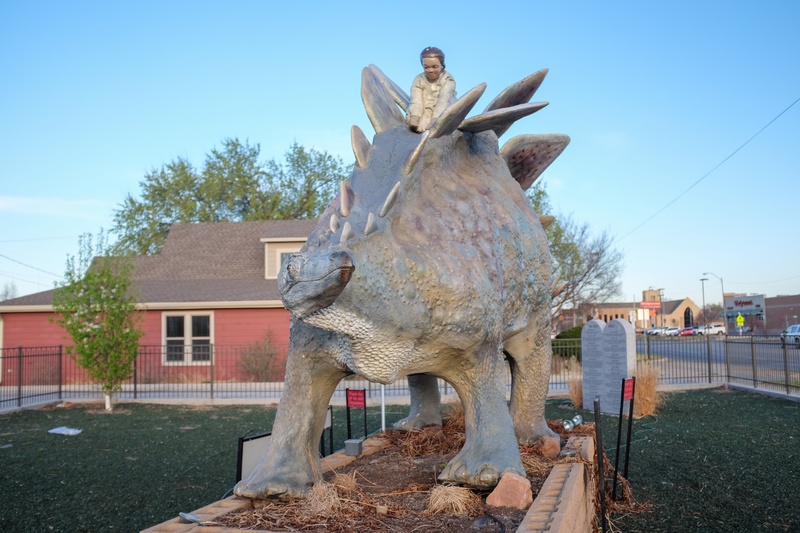 I just love the man riding the dinosaur. It could have happened like that…who’s to say? 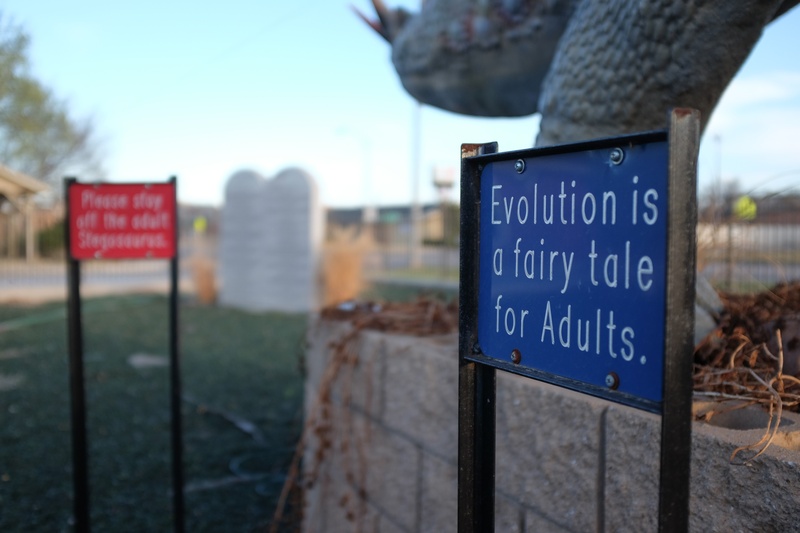 Science isn’t a science…oh, wait. But it’s easy to understand how some folks might want to cling to something solid like a creation myth/reality. We all need something to lean on. But nobody really eats scorpions do they? I have only seen tourists eat the scorpions and none of them seemed to enjoy it. A couple of years ago when I was in Bangkok I saw a guy with a mohawk and tats eat one, he made a terrible face and reached for his beer. 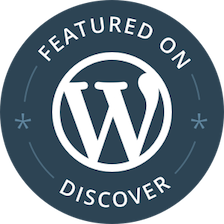 You know, I’ve read articles that say insects are the new…sushi. Very high in good stuff for your body, cheap to grow. IT could solve world hunger and help climate change at the same time if we cultivated them instead of cows. Anyone want a cricket burger? Exactly. And the price of things would plummet. But then, you know some crooked growing is going to toss cockroaches into the batch of crickets to save on costs and make more profit. Some things in life won’t change, I bet. Gross! mixing cockroaches and crickets is against nature. I don’t know…you know they say after humans have been obliterated off the face of the world, cockroaches (and ants) will still be here running the show. So there must be some good stuff in them. When it rains in Phoenix, people come out to stand in it. It’s the only time that children play in the streets in significant numbers. With only nine inches of rainfall per year, the drops become cause for celebration! Yeah, that does sound strange. Of course, arriving back in SE Alaska yesterday I laughed at all the kids riding their bikes home after school in the downpour. They are used to it though. So that’s why you ran off to Alaska! Nothing too way out here, unless gross in your face early morning undeserved insults from other drivers is bizarre. Also, regular breakfast isn’t a habit here, most Italians just have a minute espresso and croissant on the run while standing in rude pushy groups at the cafeteria. Which explains their foul mood when they hit the road. Getting used to the Italian breakfast was hard. Coffee and sugar! Yummy but not so good for you. Thanks for your perspective. The hardest thing for me to get used to seeing in India is so many young American and European girls wearing those hippie pants that are sold in every tourist area – like they are being Indian for doing so (and never noticing that Indian women actually do not wear them). I totally agree! That just kills me to see tourists in elephant pants!